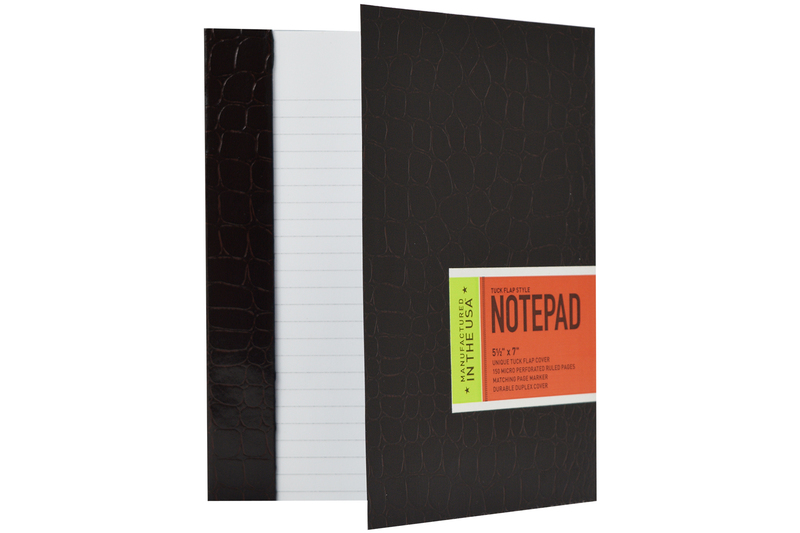 Designed for the modern professional looking to stay organized in style. 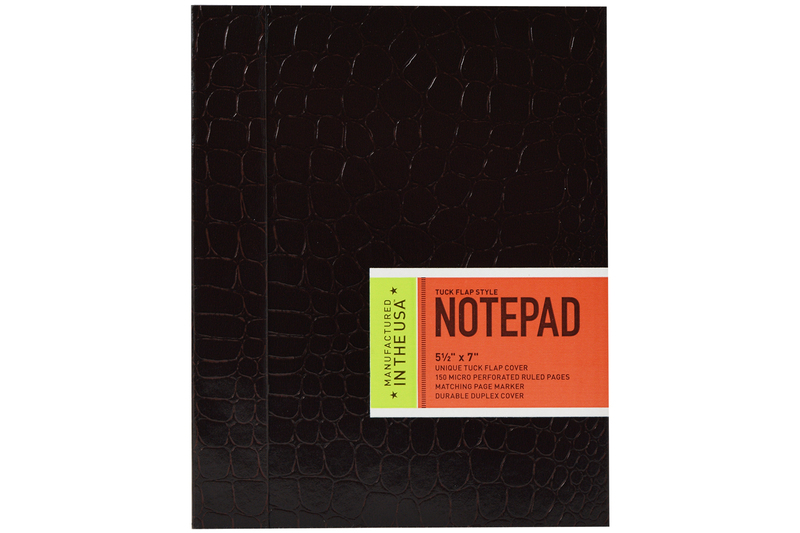 These quality notepads are American-made and ideal for business or personal use. 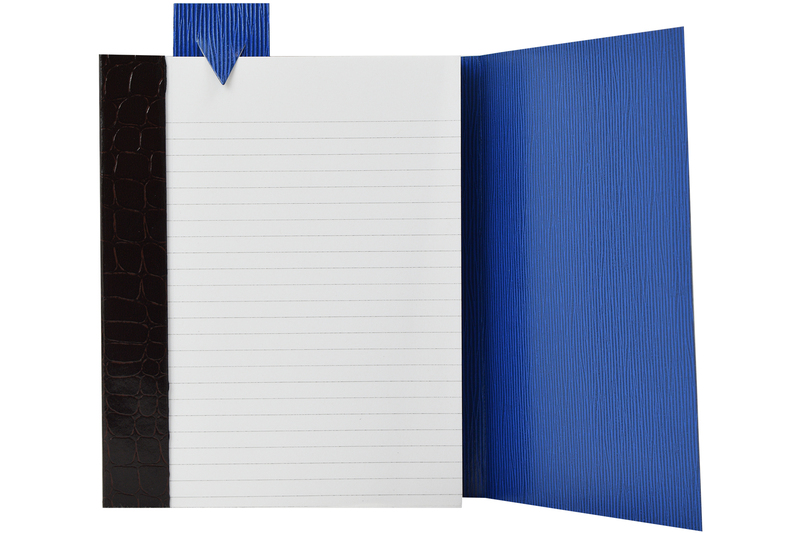 Each notepad features a matching page marker, 150 micro perforated ruled pages and a durable, tuck flap style cover that is both scratch and moisture resistant. 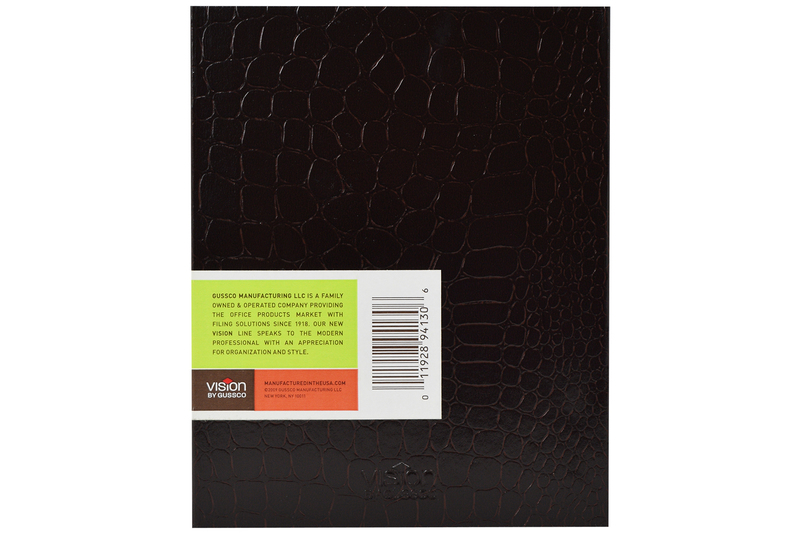 The overall size is 5-1/2" x 7" inches. 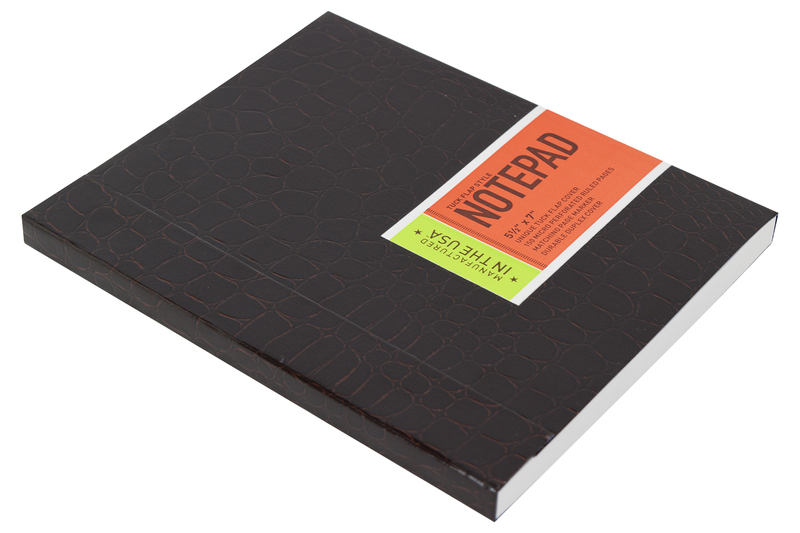 Commonly used to take notes, gather recipe lists, create workout logs, personalized diaries, sketch on and more.